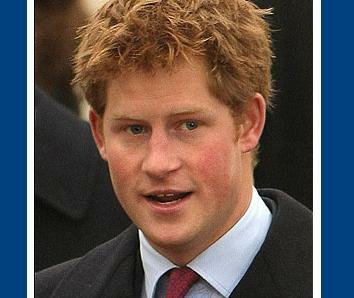 Prince Harry has recorded a video message in support of England’s bid to host the 2015 Rugby World Cup. In the short clip – which has been posted on the Rugby Football Union’s website – the 24-year-old royal describes his “passion” for the game and his desire to see the World Cup held in his home country. He said: “As a mere rugby fan I’m not going to attempt to do justice to the technicalities of England’s first-class bid in a very short message. “But what I do want to do though, is give you all a sense of the passion that we have for the game in England. The passion we would bring to the tournament if we were lucky enough to win it. A delegation that included 2003 Rugby World Cup winners Lawrence Dallaglio and Will Greenwood presented details of England’s bid to the International Rugby Board last week. If their bid is successful, pool stages will be held in nine cities across England, including London, Cardiff and Manchester.